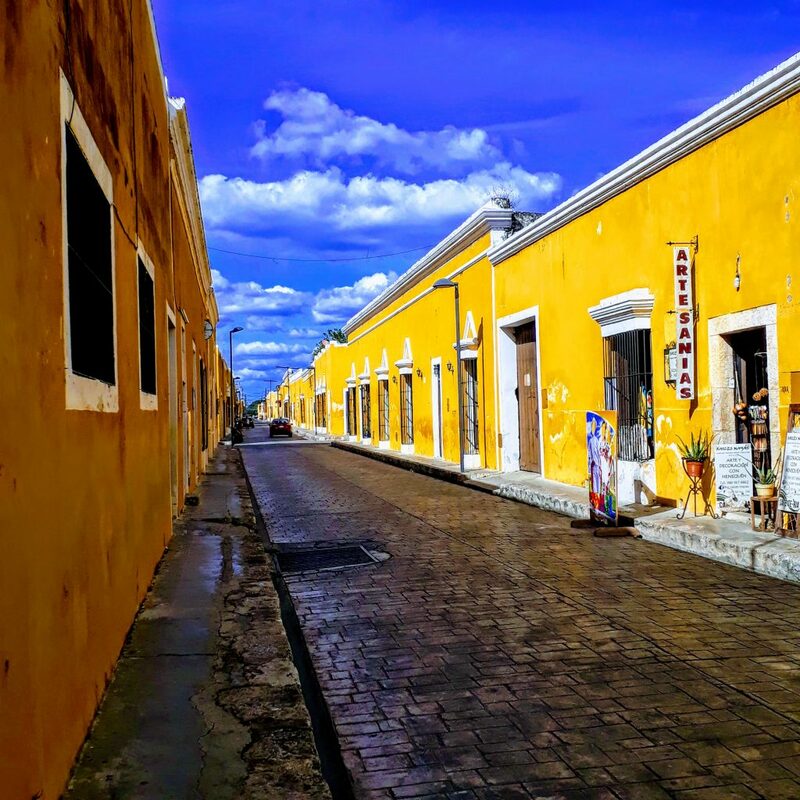 Izamal is a charming little pueblo in the middle of the Yucatan peninsula. Together with Valladolid (and other 99 towns in other Mexican states), it has been awarded the status of Pueblo Magico de Mexico for its rich history and culture. 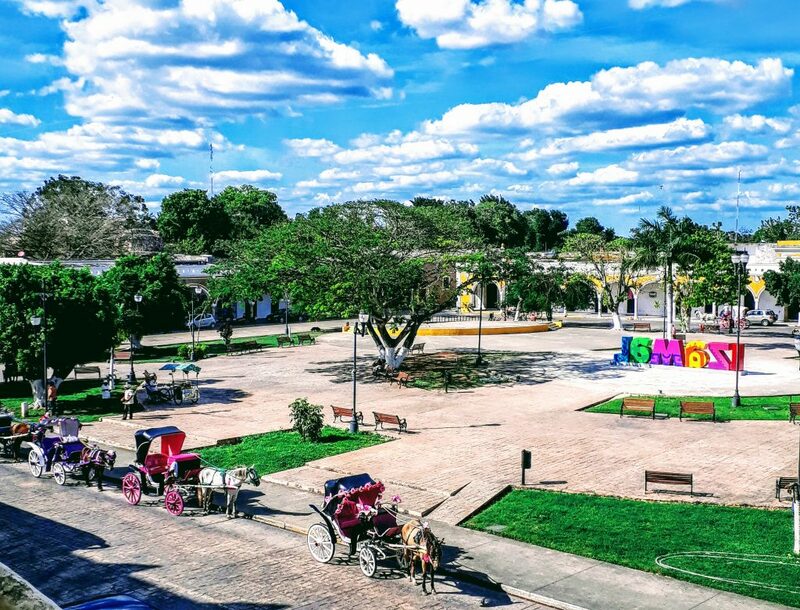 Located only one hour away from the capital of Yucatan, Izamal is the perfect day trip from Merida if you like an authentic experience in a quiet and somewhat magical environment. 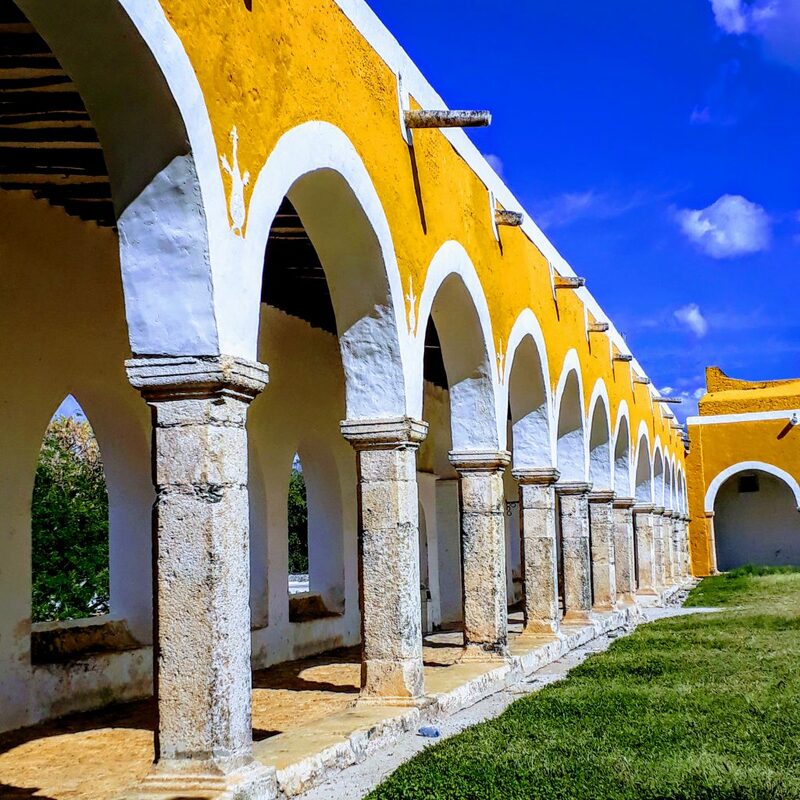 Izamal stands out and trumps the competition because of its very unique features. First, everything is yellow. That’s right, every building in town is painted in a bright yellow colour. Secondly, it boasts a fascinating multi-layered culture that draws from the Mayan tradition, the Spanish colonial tradition and the modern Mexican one. The first thing you notice when you get out of the bus station is the big Convento de San Antonio de Padua. After visiting many Mayan ruins, standing in front of the familiar architecture of a Catholic convent was somehow baffling for me, but its loud yellow colour and peaceful atmosphere kept my curiosity level very high. Visiting the whole complex, aka courtyard, church and little museum, doesn’t take more than one hour. However, it’s such a peaceful environment that I recommend taking your time: you can stroll under the covered walkway, take pictures from every angle, rest on the grass, visit the church, read the history of the convent and wander through corridors and courtyards. Don’t be surprised if you see a police officer offering information to tourists on the grounds: Izamal has the “Policia Turistica“. These officers/tour guides are really knowledgeable and can teach you a lot of things about their town. Next stop: Kinich Kak-Mo pyramid. When you get out of the convent, you’ll find yourself in the main town square. Since we’ll have to get back here later anyway, let’s skip it for now and head directly to the main Mayan pyramid in town. The pyramid is located on Calle 27 between 28 and 26B and, despite being smaller in size than the most popular ones, the peaceful atmosphere and the view of the city are unbeatable. I got there at 3 pm and I almost had the whole place to myself. There was just a young skater guy who looked way too lost in thought to be bothered at all by my presence. So I climbed to the top, did a good 15-20 minutes of meditation and another 20 minutes of photos, I stood there admiring the tiny yellow houses in the distance and then circled around the pyramid a couple of times, just to make sure I didn’t miss anything. If you are lucky, you may even see a bunch of coatis running around, these adorable Mexican animals that look like a mix between raccoons and ant eaters. There are a bunch of other Mayan ruins scattered around town, but this one is definitely the one worth visiting. At this point, the best thing to do is to wander around the picturesque calles with eyes wide open and camera at hand. There’s almost no traffic, so you’ll be able to walk in the middle of the road most of the time and get nice photos of the surrounding yellow architecture. Discover the hidden artisan shops, greet the lovely old ladies resting in the shade outside of their houses, follow the children to find the best ice-cream places, buy a snack from the occasional street vendor and just take in the magic of this little town. When the houses are not yellow anymore, it means that you left the heart of the pueblo and are heading towards its outskirts. But no worries, Izamal is quite small and it’s easy to find your way around. 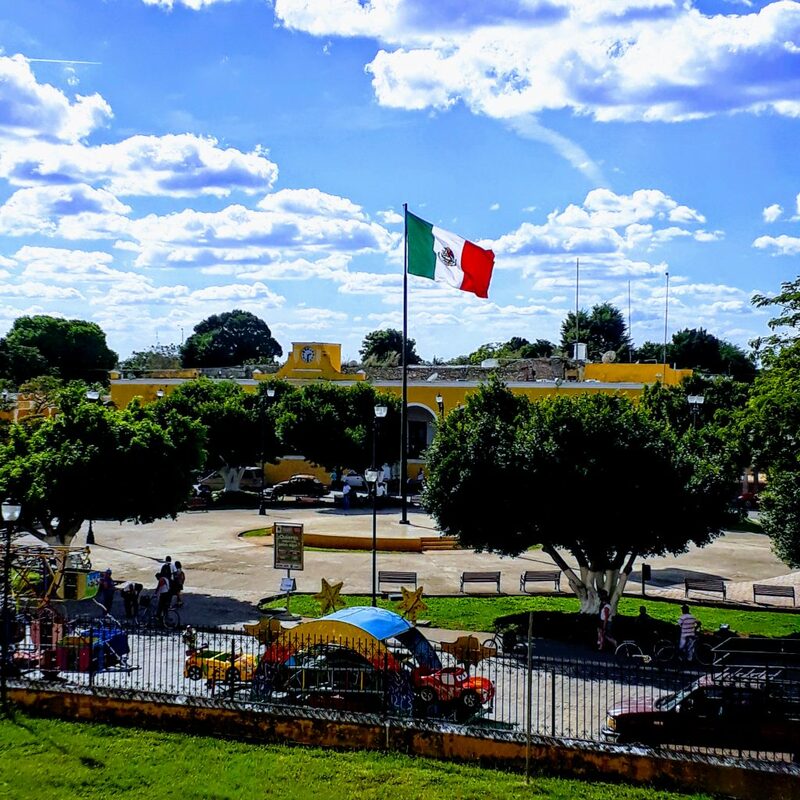 Before leaving Izamal, check out the local market right beside the convent: prices are often lower than most touristy places and you’ll find great souvenirs. Then, relax for a little bit in the two main parks/squares: Parque Itzamna and Parque 5 de Mayo. 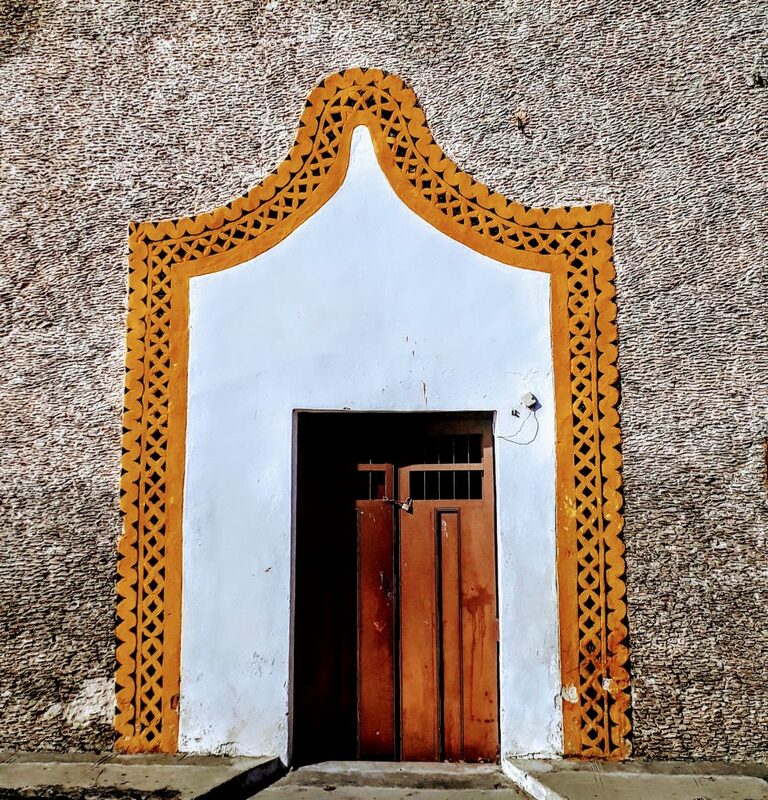 Here you’ll find some street food vendors, the colorful and highly-instagrammable Izamal sign, an ice-cream parlour and even a slow public WiFi spot. 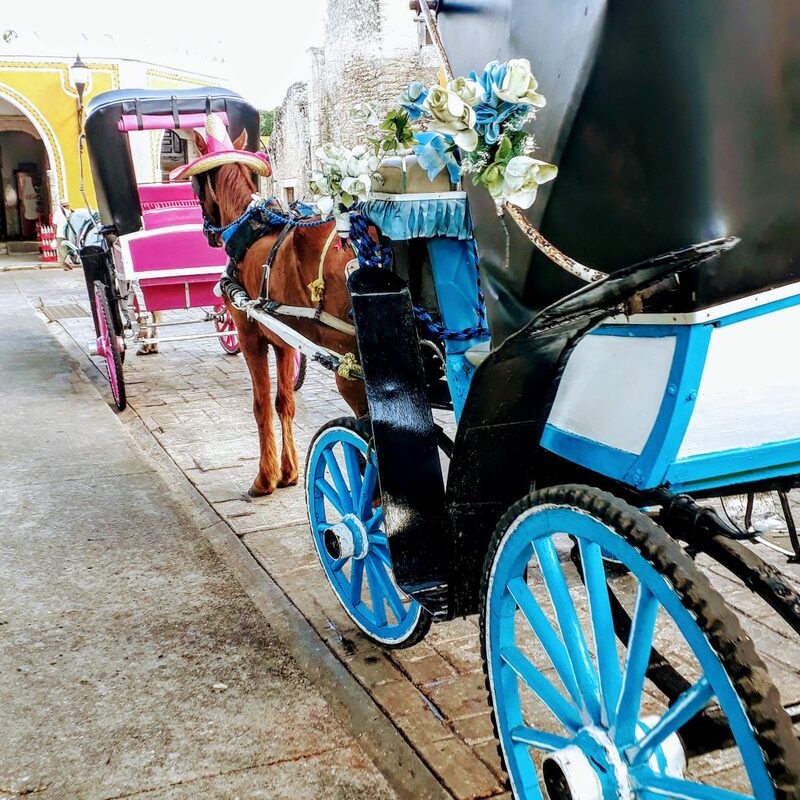 Sit on a bench and observe the locals out and about at their slow and carefree pace, enjoy the silence and the occasional heated discussions between strong-headed grey-moustached men, fill your eyes and heart with the understated beauty of Mexican daily life. 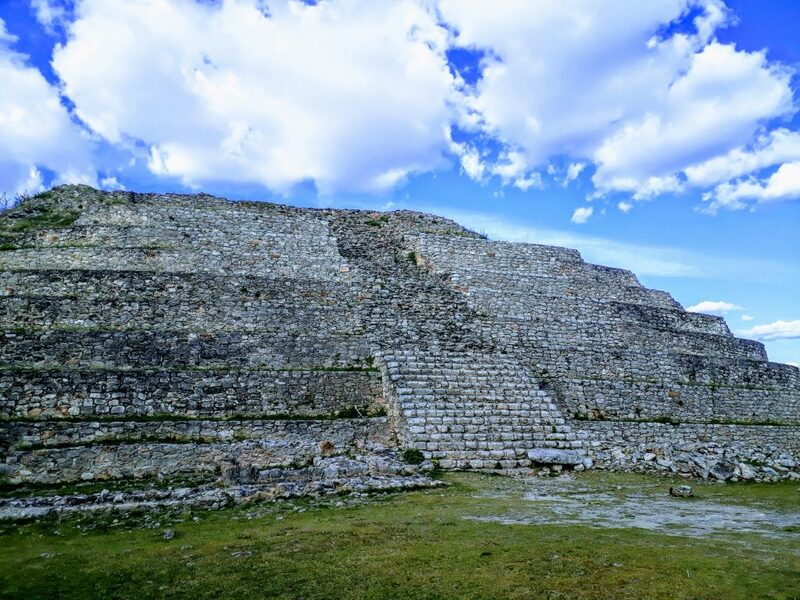 Being only 70 km away, Izamal is well connected to Merida by bus and colectivos. The colectivo is faster because it doesn’t make any stops, but the bus is more comfortable and has air conditioning. Buses depart from the Noreste Station in Merida (calle 67 and 50) every hour and a half/two hours and cost around 30 pesos. If you are planning on getting there from other cities, there are buses from Valladolid, Cancun and Playa del Carmen as well. 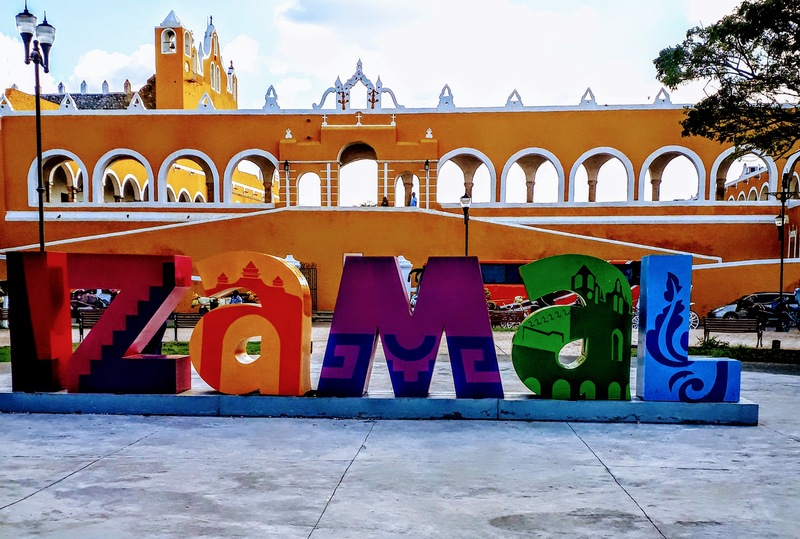 There are a couple of traditional restaurants that seem to be popular with tourists: Restaurante Zamna on calle 22 y 33 and Kinich Izamal right beside the pyramid. Personally, I always prefer to get food from the street vendors and eat in the nature, so I can’t vouch for them. 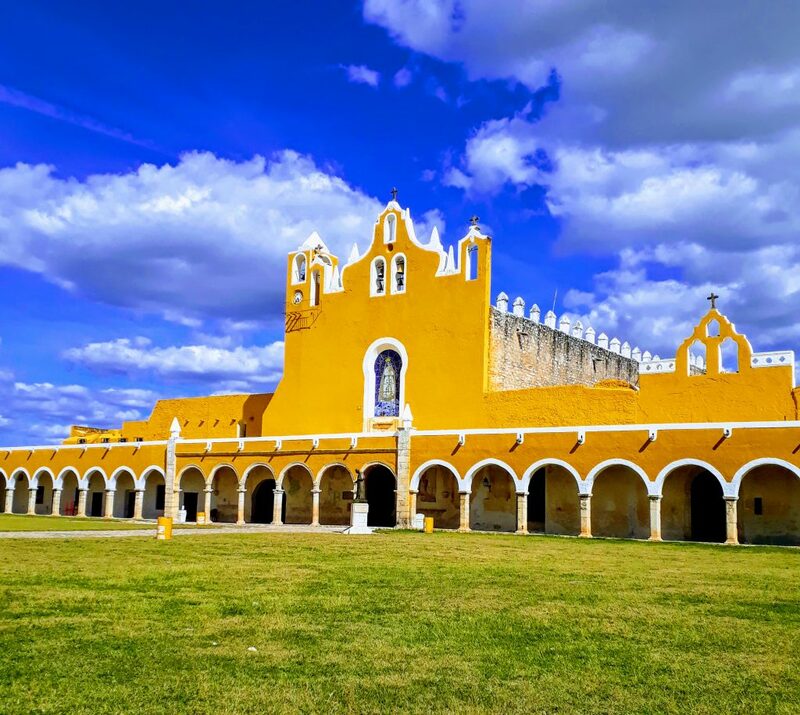 Izamal is quite small, so it’s not necessary to stay overnight: a day trip from Merida will be just fine. If you’d rather stay, however, I’ve seen at least two hotels in the main square area (Hotel Rinconada del Convento and Hotel San Miguel Arcangel). 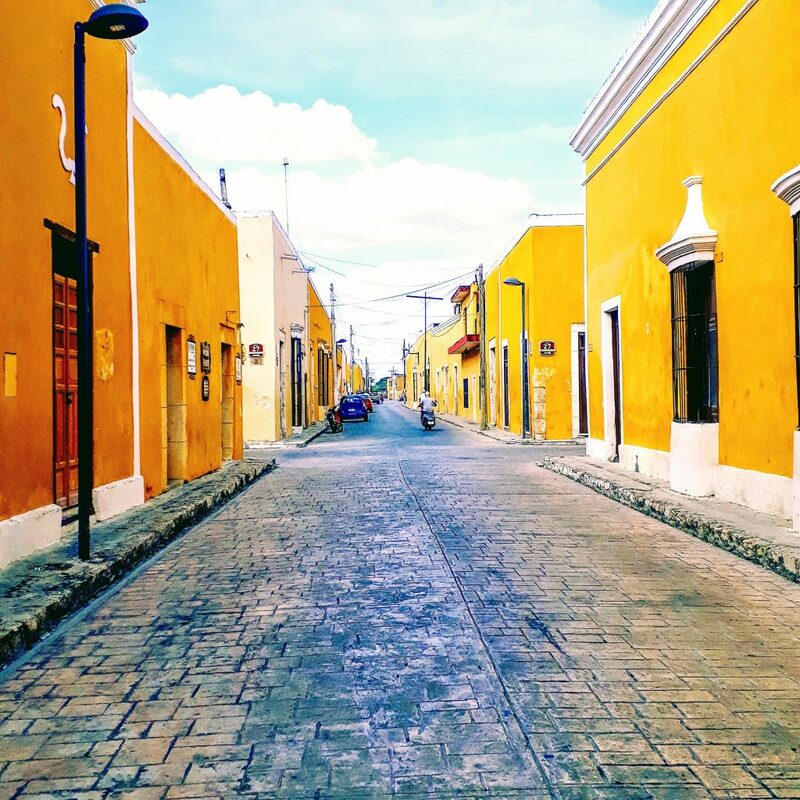 Izamal is definitely a town that deserved to be visited on foot, taking your time to explore quaint corners and shops. However, there are private carriage tours available in Parque 5 de Mayo. You’ll see a row of colorful carriages with horses and, if you get close enough, you wonàt even have to ask for information. 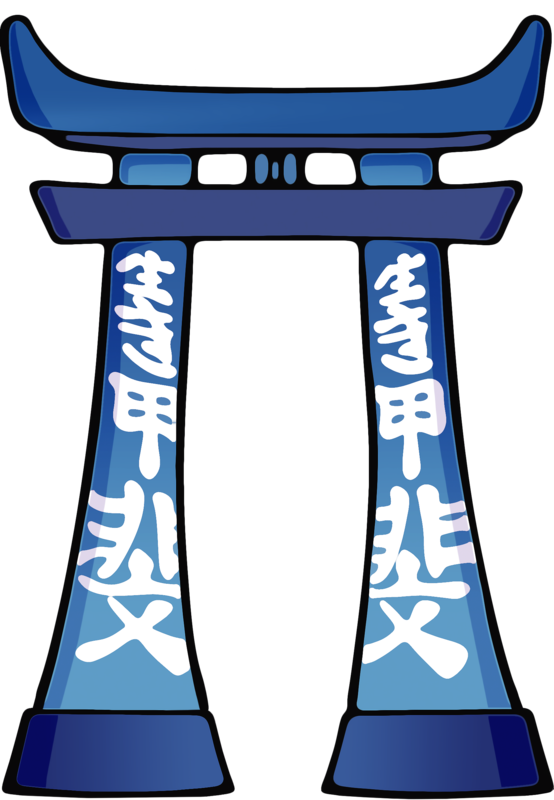 The guides will most likely come up to you to offer their tours. As far as I know, prices for a 40-minute tour range from 200 to 300 pesos. No issues to report. Izamal is a very safe place for everyone. 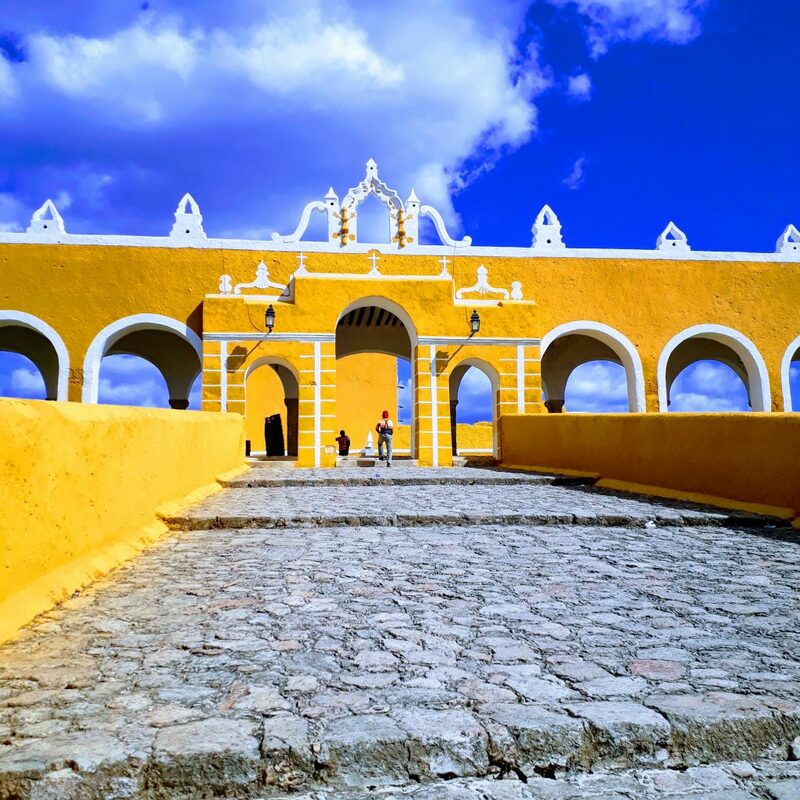 Finally, the burning question you were waiting for… Why is Izamal yellow? This shade of yellow was good to keep away mosquitoes carrying infectious diseases. It was a sacred color for the Mayans, because of its resemblance to corn. Before Pope John Paul II’s visit in 1993, the city decided to do a revamp and chose the color of Vatican City. Anyway, whatever the reason, I think it was a great idea. The color definitely adds a lot of character to the pueblo. I wonder if the Pope liked it… in any case, well done! That’s all from the Ciudad Amarilla. 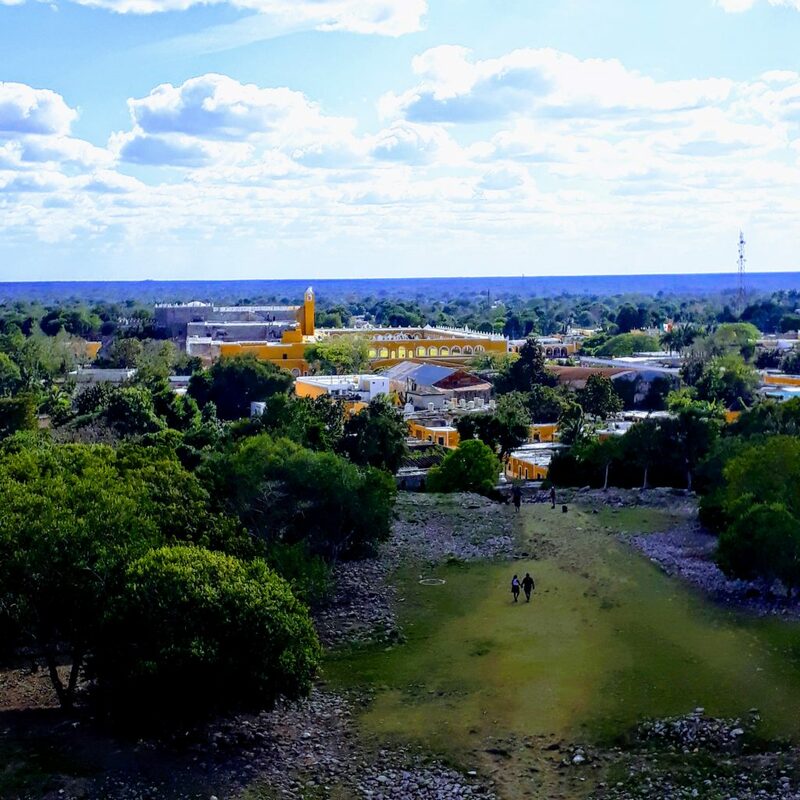 Definitely consider a half-day trip to Izamal. If you have a car, you could even combine it with a visit to the cenotes of the nearby towns of Cuzama and/or Homun. If you liked the post or know someone who’s going to Mexico soon and might find this helpful, please share this article with them.